Regaining motion following heavy doses of high intensity throwing cannot be overlooked. Throwing causes significant range of motion changes from eccentric stress. Any movement activity causing significant muscle damage can alter movement in the days following. Pitchers throwing a large amount of pitches suffer significant eccentric stress, not only in the arm/shoulder but throughout the entire body. Joint distraction forces at the shoulder and elbow rapidly increase to 1–1.5 times the body mass to decelerate the arm. Mike Reinold, in a 2008 study, showed significant decreases in shoulder internal rotation, total motion, and elbow extension following pitching in the dominant shoulder. These changes were noted immediately post pitching and continued to exist 24 hours after. These motion losses begin acutely but can progress into long term alterations. Many of us in the baseball field have long known about glenohumeral internal rotation deficit (GIRD) when it comes to the throwing shoulder, but several recent studies are linking injuries to other movement loss within the glenohumeral joint. Over 6 years, Dr. Chris Camp and others studied range of motion on all invited pitchers from one professional organization, totaling 81 pitchers followed and accounting for 132 pitcher seasons. The authors looked at shoulder flexion, horizontal adduction, external rotation, internal rotation, as well as elbow flexion and extension in both the dominant and non-dominant arm during the pre-season. Out of the 53 injuries they encountered over the 6-year period, the most significant risk factors for elbow injury were loss of shoulder external rotation and loss of shoulder flexion. Injury risk at the elbow went up 7% for each degree of external rotation loss and 9% for each degree of flexion loss. None of the range of motion measures correlated with shoulder injuries. The study shows that altered kinematics at the shoulder have a significant effect down the kinetic chain at the elbow. In the Camp study, the presence of an internal rotation deficit did not correlate to any increased risk of shoulder or elbow injuries. 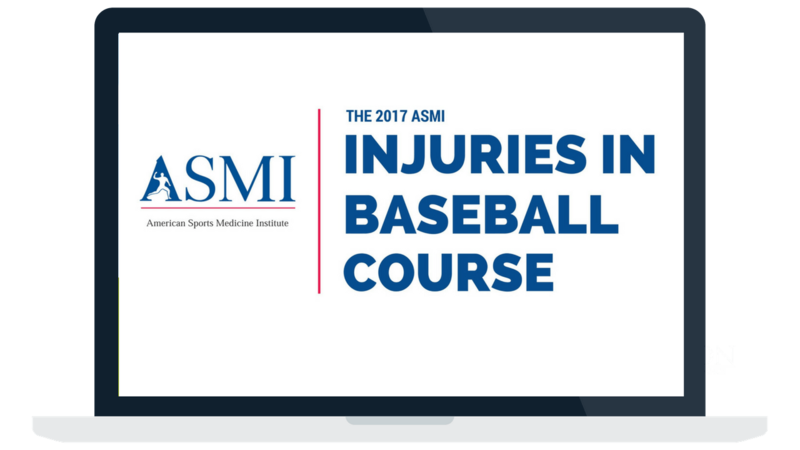 However, the predominant overall theme remains in that pitching causes significant stresses to the arm and body, and that stress can cause significant motion losses. Motion losses are regularly tied into shoulder and arm injuries. Regaining full overhead capacity can be much more than simply soft tissue restrictions but an easy place to start is by mobilizing the tissue around the scapula and shoulder. Gaining full overhead motion can be a combination of many factors, and it often starts at form and function when it comes to global movement. Body and anatomical positions determine form and form dictates function. The pelvis stuck in a poor position affects the lumbar spine which affects the thoracic spine orientation which 100% affects the scapular position which affects the shoulder. The following list to regaining overhead motion is a good place to start but is not an exhaustive list by any means. Pelvic control in my opinion is the foundation of all patterns within the body. The inability to control the pelvis stems from poor glute and abdominal motor control. Compensation patterns result from this lack of control in the form of extended spinal positions, especially at the lumbar spine. An over extended lumbar spine creates the rib-flair up the kinetic chain, and the rib-flair allows for false motion with overhead athletes. Developing the ability to control the pelvis should be a priority for efficient overhead motion. Pelvic stability should revolve around the rectus abdominus, obliques, and glute complex. Teach and train a neutral pelvis along with anti-extension throughout the torso. The ability of the t-spine to extend assists in humeral flexion through efficient scapular mechanics. A poor position places the scapula at a disadvantage. A forward head posture with excessive rounding of the upper back drives the scapula forward into anterior tilt. An athlete unable to extend through the t-spine will be unable to effectively upwardly rotate, and posteriorly tilt the scapula resulting in less overhead ability. A study by Strunce in 2009 showed large increases in shoulder range of motion following thoracic spine and rib manipulations. Although not on an athletic population, the results demonstrated the immediate benefits of positioning when it comes to the thoracic cage. Active range of motion at the shoulder improved in flexion by 38° and improved total rotation by 30° after manual manipulation. Results from another study by Edmonston in 2012 confirmed that extension of the thoracic spine does occur during arm flexion. The ranges of thoracic spine extension with humeral flexion was an average of 12.8 degrees, showing the importance of the kinetic chain in overhead motion. For the shoulder to function correctly, it relies on assistance from the scapula to get overhead. Upward rotation and posterior tilt are significant factors in flexion. For the arm to get a full 180 degrees of motion, the scapula must contribute 60 degrees while the glenohumeral joint handles the other 120 degrees. Without that 60 degrees, motion is compromised. Focusing on the lower trap and serratus anterior are a good place to start as both are responsible for upward rotation, while the lower trap is key in posterior tilt. Both are the most commonly inhibited muscles in overhead athletes due to posture, lifestyle, training methods, etc. Obviously, the muscles attaching to the scapula and humerus play huge roles in not only creating motion but restricting motion as well. Overactive or tight tissues limit motion. Some muscles that have great influence on scapular positioning and subsequently on motion include the latissimus dorsi, pec major and minor, rhomboids, and levator scapula (to name a few). Manipulating these common problem areas can go to great lengths in restoring fluid movement and positioning. However, muscles aren’t the only factor. Capsular restrictions around the glenohumeral joint itself can factor into the equation as well. The “overhead” in overhead athletes tells us all we need to know. The overhead position matters to throwers and being able to get there the right way is key. Don’t let flexion disappear or become a compensation pattern over the course of a long season. Keep moving efficiently for long term health when it comes to the shoulder and elbow. Camp, Christopher L., et al. “Decreased Shoulder External Rotation and Flexion Are Greater Predictors of Injury than Internal Rotation Deficits: Analysis of 132 Pitcher-Seasons in Professional Baseball.” Orthopaedic Journal of Sports Medicine, vol. 5, no. 7_suppl6, 2017, doi:10.1177/2325967117s00221. Edmondston, Stephen, et al. “Clinical and Radiological Investigation of Thoracic Spine Extension Motion During Bilateral Arm Elevation.” Journal of Orthopaedic & Sports Physical Therapy, vol. 42, no. 10, 2012, pp. 861–869., doi:10.2519/jospt.2012.4164. Reinold, Michael M., et al. “Changes in Shoulder and Elbow Passive Range of Motion after Pitching in Professional Baseball Players.” The American Journal of Sports Medicine, vol. 36, no. 3, 2008, pp. 523–527., doi:10.1177/0363546507308935. Strunce, Joseph B., et al. “The Immediate Effects of Thoracic Spine and Rib Manipulation on Subjects with Primary Complaints of Shoulder Pain.” Journal of Manual & Manipulative Therapy, vol. 17, no. 4, 2009, pp. 230–236., doi:10.1179/106698109791352102.